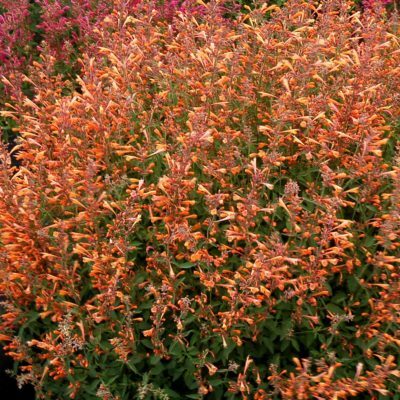 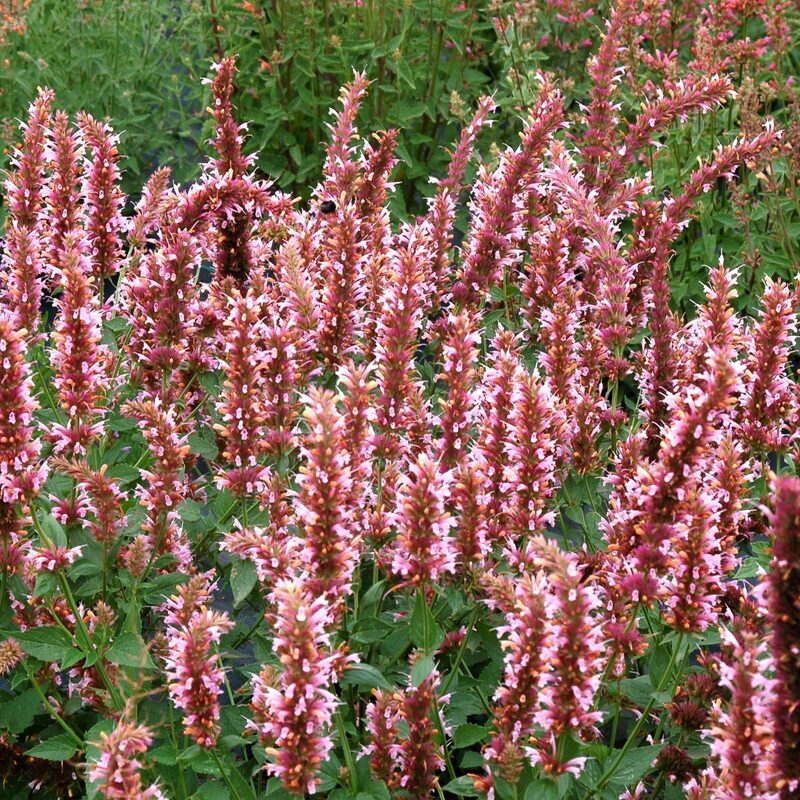 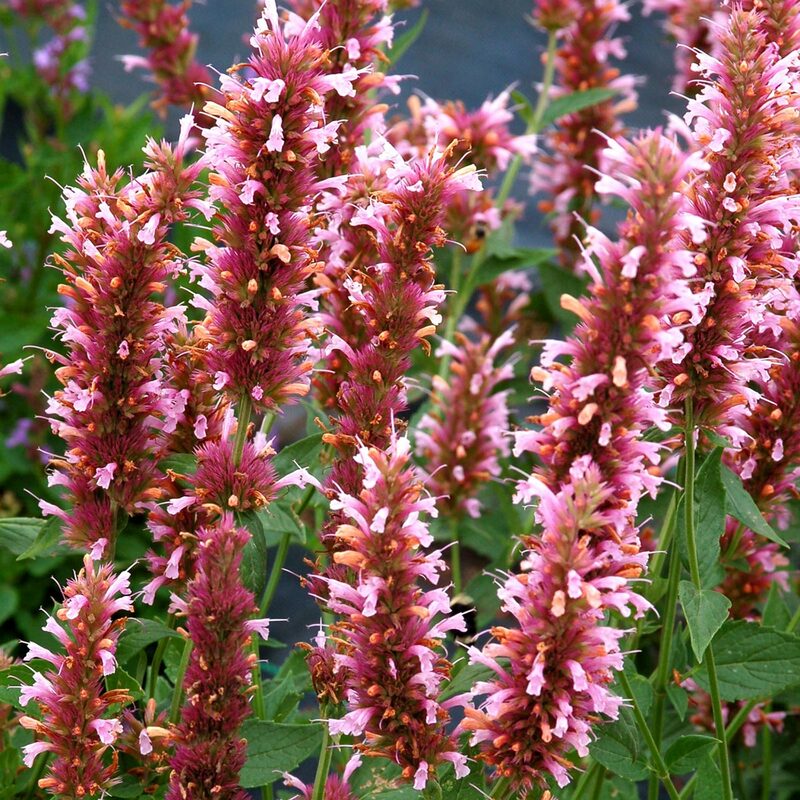 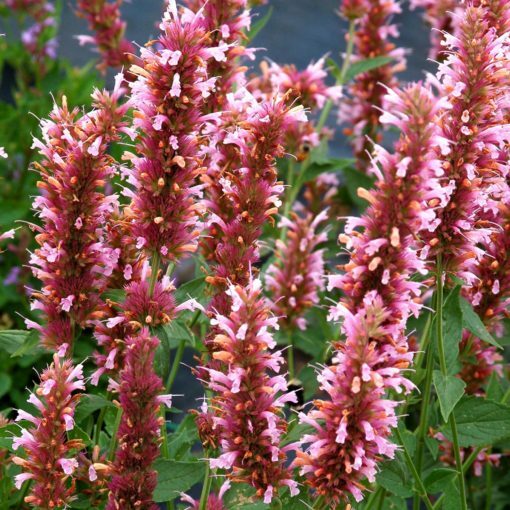 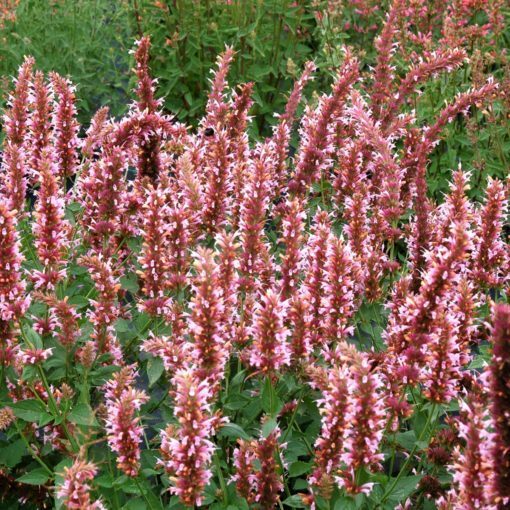 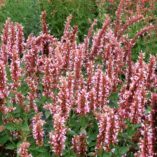 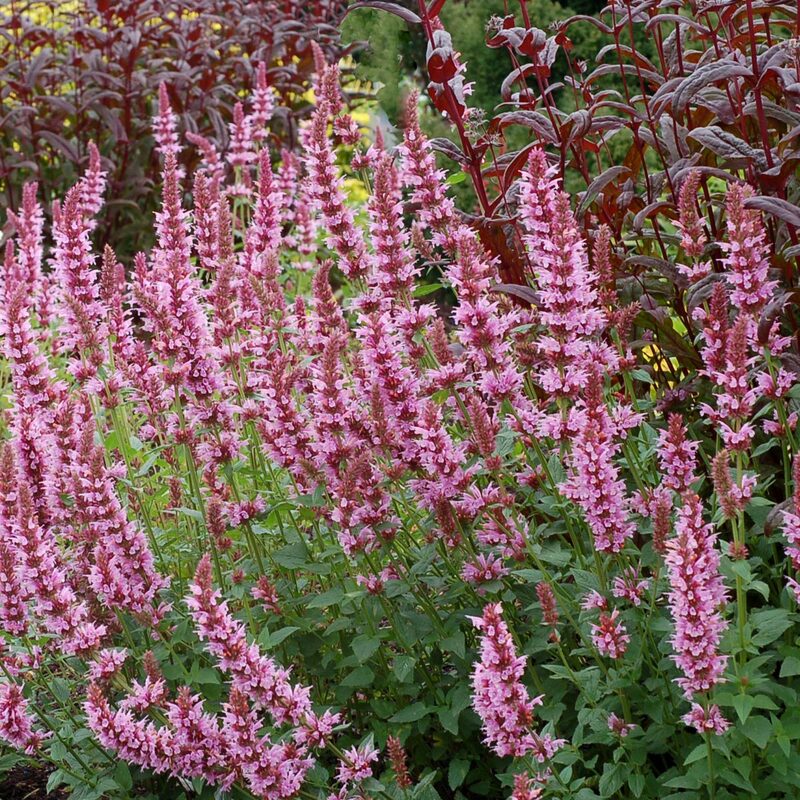 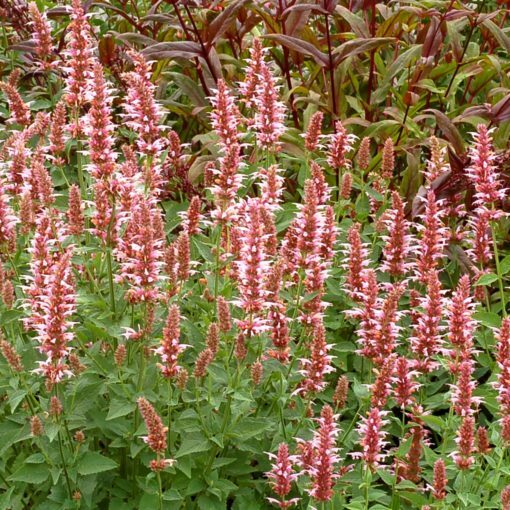 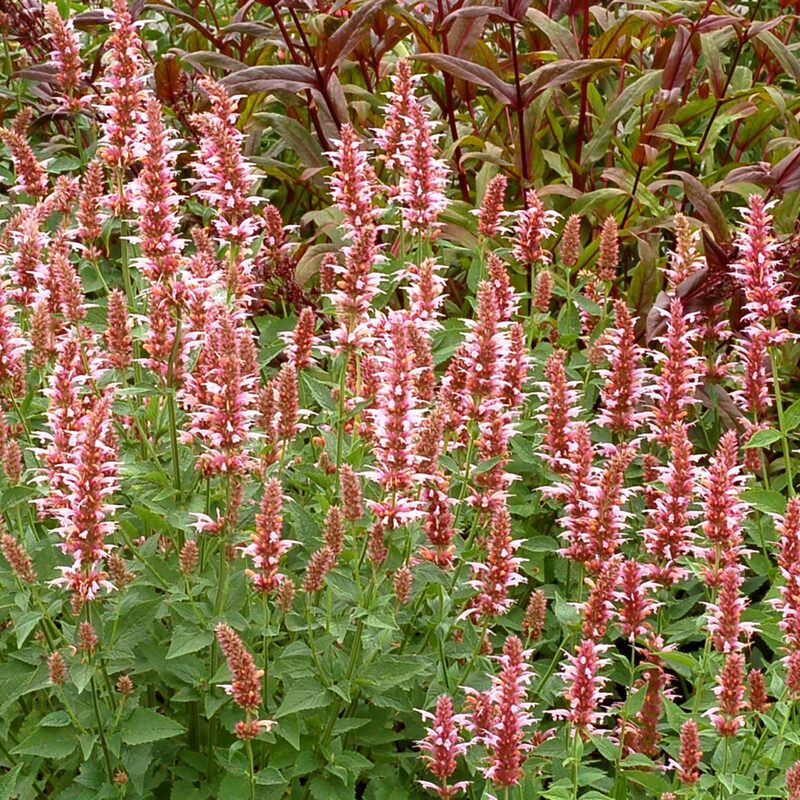 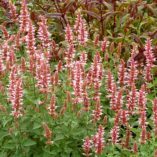 Agastache ‘Cotton Candy’ | TERRA NOVA® Nurseries, Inc. 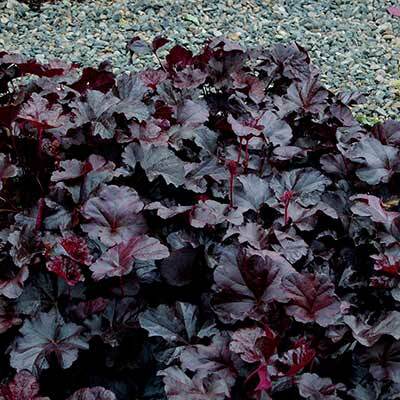 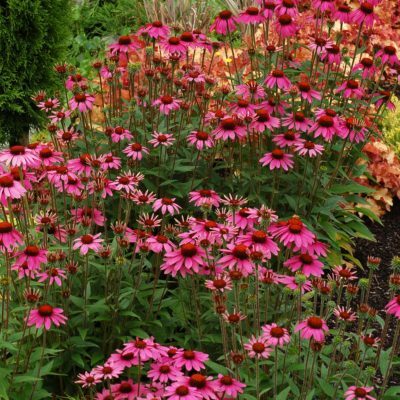 This easy, vigorous grower blooms non-stop from midsummer through fall. 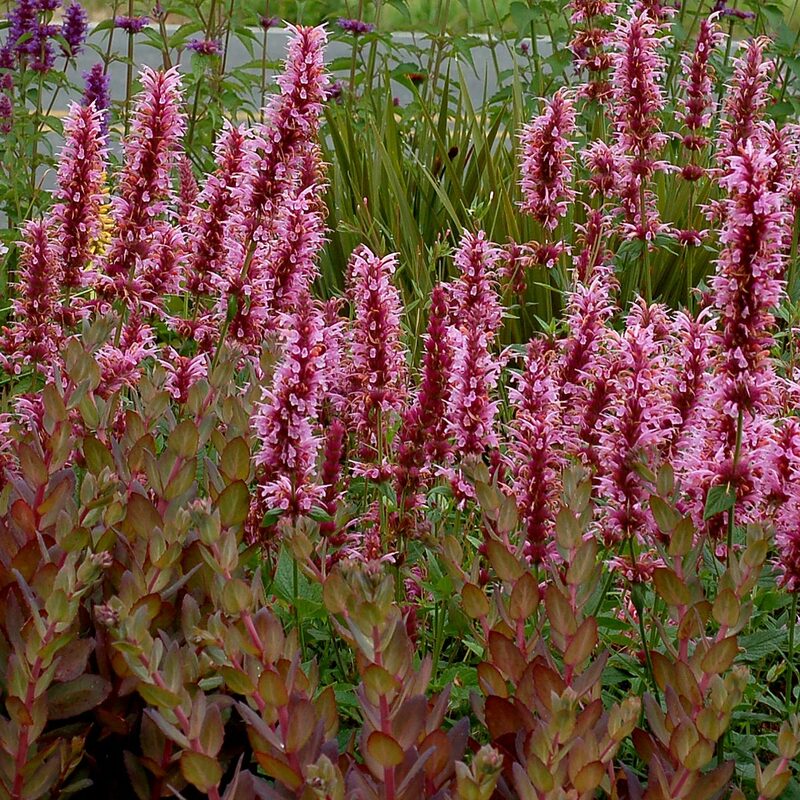 The dense flower spikes have numerous light pink flowers. 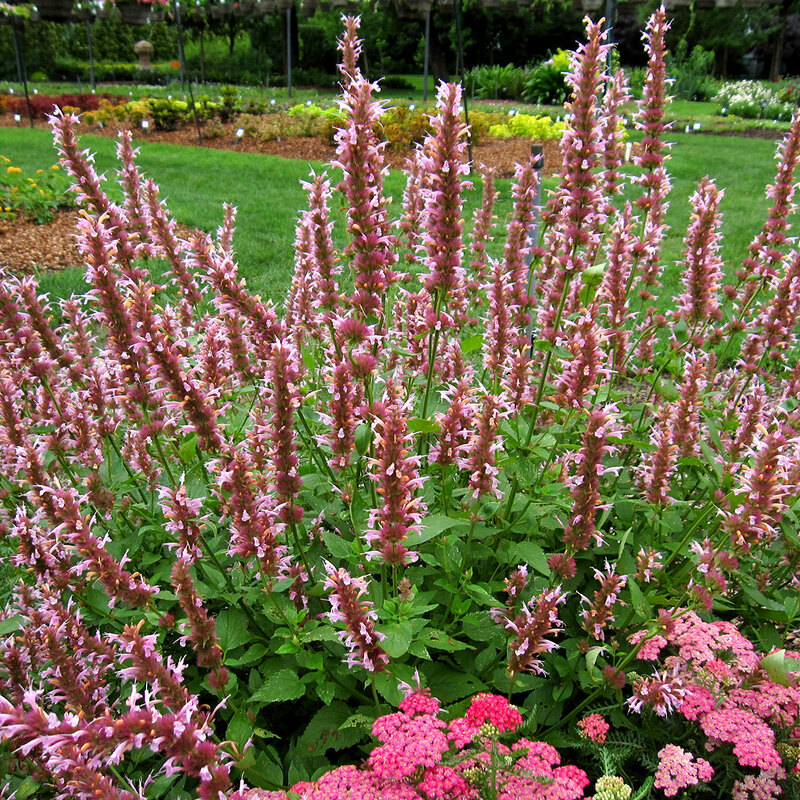 Compact low branching habit. Does great in the south according to Tony Avent in North Carolina. 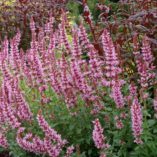 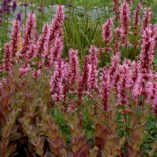 20" / 18" / 25"
It has dense flowers spikes of light pink that bloom for a long time and the attractive calyces extend the showy season. 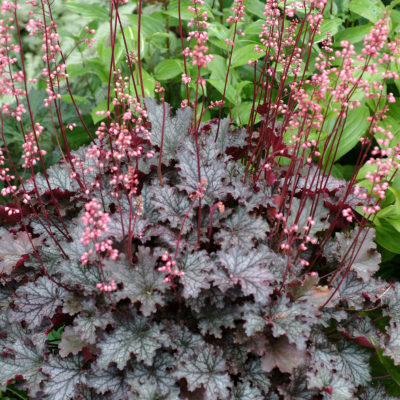 The low branching, compact habit is a bonus. 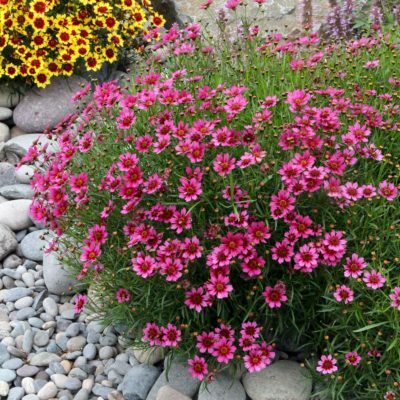 Easy to grow with good drainage. 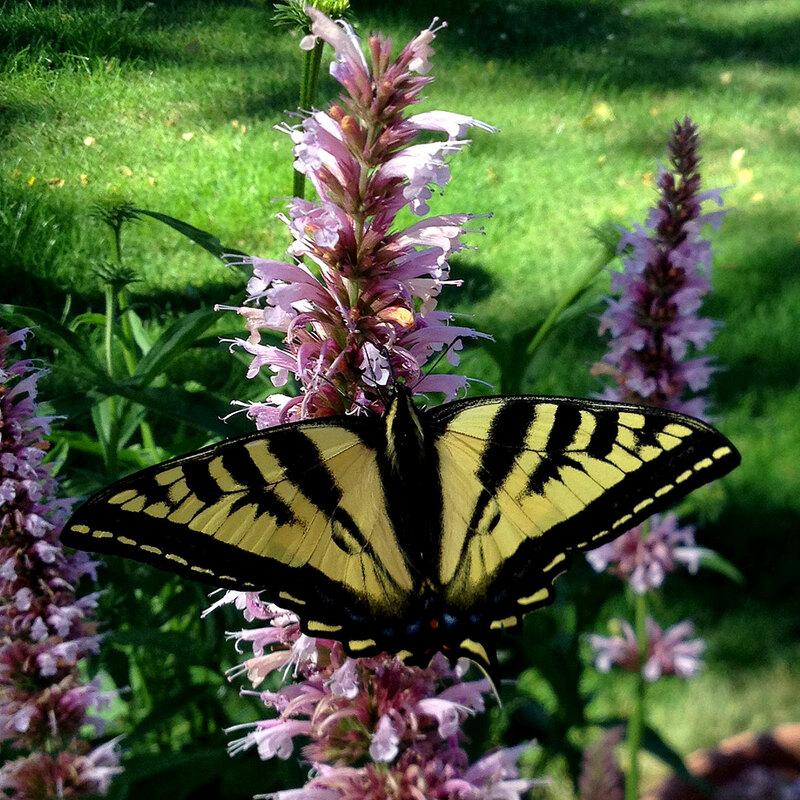 All Agastache are popular with hummingbirds. 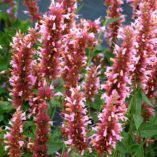 Tony Avent says "This TN introduction is one of the first of the brightly-colored Agastache hybrids to survive our NC summers." 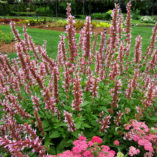 Also did well in Dallas, TX according to the Dallas Arboretum.